A frozen section is a term referring to a section of tissue that has been rapidly cooled using cryostat. It is an important feature that is needed in hospitals to assist with the diagnoses of lesions and the extent of the lesion during surgery. The cryostat is an instrument used to freeze the human tissue samples and cut it for microscopic section. It is used to aid in the immediate diagnosis of lesions to help medical professionals plan the management for the relevant patient. Frozen sections are also helpful for immunofluorescence and enzyme immunochemistry studies. Another useful indication would be to stain certain carbohydrates and lipids present in the tissue. The temperature range in the cryostat machine usually ranges from 0⁰C to -35⁰C. The majority of the tissue can be appropriately sectioned between -15⁰C to -25⁰C. Tissue samples that contain water can be sectioned at a higher temperature while tissues that contain more fat will need to be cut at a lower temperature. The knife inside the rotary microtome is fixed, and the tissue can be moved with the help of the rotary wheel. A tissue shelf in one side of the microtome can be used to keep the tissue. This helps to keep the samples at a freezing temperature as the temperature in the tissue shelf is usually lower compared to the cabinet temperature. There is a small place to place the knife and brush holder in front of the microtome machine. To obtain an even pressure during sectioning of the tissue samples throughout the whole length, the blade should be fixed to the holder with the knife angle kept between 5⁰ to 7⁰. An antiroll plate is available in front of the knife to prevent the rolling of the tissue during the cutting process. The antiroll plate is usually glass within a metal frame. A cool sable hair brush is also available to obtain unrolled tissue. Depending on the manufacturer, the specimen holder can be available in various shapes and sizes. The optimal cutting temperature (OCT) compound such as resin and water-soluble glycols will be used as an embedding medium to hold the tissue. The tissue sample and requisition form should first be identified. Look at the clinical information available as it can help achieve the possible differential diagnoses. Observe the gross appearance of the tissue in terms of color, consistency, texture, and presence of sutures used to mark the anatomical position of the sample. Identify the resection margins and planes. Use different ink colors for identification of medial and lateral margins. When cutting the tissue, ensure that the tissue is fresh, preferably dry, and free from any gauze, sutures, or staples. The tissue is then cut into multiple small pieces to assist freezing. Multiple sections of the tissue should be obtained to help minimize error and understand the primary pathology. Use a sharp blade to cut the most crucial area using gentle pressure. To embed tissue in the mold, keep a small piece in the center of the mold and pour OCT in excess over it. A tissue holder is then placed over the tissue. Place the tissue in the frozen section chamber. To hasten the process, cold spray can be used. Load the cutting knife at the proper alignment. Once the tissue is frozen, it will appear whitish. Place the in frozen tissue the holder of the microtome and trim to remove the excess OCT. This prepares the tissue surface for sectioning. Cut the tissue gently and spread it over the antiroll plate using a cooled brush. Press a glass slide firmly over the section and fix immediately in methanol for 1 minute. 95 percent ethanol can also be used for tissue fixation (for a few seconds). Rapid fixation is a must as a delay results in swollen cells and hazy cell margins. Staining is usually done using hematoxylin and eosin (H&E) and toluidine blue stain. The slide is first rinsed in tap water and put in hematoxylin for a minute. It is then rinsed in tap water for 5 seconds followed by another rinse in Scott's tap water for another 5 seconds. The slide is then dipped in eosin for 20 seconds and rapidly rinsed in tap water after. The frozen section refers to the process where there is rapid tissue section cooled with a cryostat to provide an immediate report of the tissue sample. The cryostat freezes the tissue allowing it to be cut for a microscopic section. The conversion of water into ice acts as the embedding media for cutting the tissue. It is a technique that is mostly used for the rapid diagnosis of lesions during intraoperative management. This helps to determine the extent of the lesion, allows for immunofluorescence and immunohistochemistry study, and staining of specific carbohydrate and lipid in the tissue. This article has described the principle, techniques, indications, and instructions on how to make a good quality frozen tissue section. Dey P. (2018) Frozen Section: Principle and Procedure. In: Basic and Advanced Laboratory Techniques in Histopathology and Cytology. Springer, Singapore. A biopsy is a test that is used to help determine the composition and structure of the cells and tissues of the body. The test can be used to evaluate human tissue samples from part of the body to allow the examination of the tissue sample under a microscope. Since most biopsies are minor procedures, patients do not usually require sedation. Patients may only require local or no anesthesia. The term biopsy is of Greek origin “bios” and “opsis” where the word “biopsy” can be loosely translated to “appearance of life” or “view of the living”. Biopsy is a good way to evaluate for the presence of malignancy or for confirmation if the abnormality is benign. If there is cancer, a pathologist studies the tissue sample to determine the type and grade of malignancy. Why is a Biopsy Performed? A biopsy is usually performed when there are lesions that can be felt or seen on imaging such as ultrasound, X-ray, computed tomography (CT) scan, or magnetic resonance imaging (MRI) scan. The biopsy is used to help determine the nature of the suspected abnormality. In cases of suspected cancer, the biopsy helps determine if the area involved is malignant or benign. One good example is the biopsy of a breast lump for histologic examination to determine if it is cancerous. The laboratory analysis of the specimen is performed by a clinical pathologist. A definitive and correct diagnosis is usually arrived through histological and cytological examination. When a tumor is malignant, biopsies of the lymph nodes and surrounding tissues are performed to determine if the cancer has metastasized. Biopsy also helps to determine the grade of cancer. Surgical biopsy is a procedure that removes the entire tumor and can be done with the guidance of endoscopy or imaging. The pathologist can usually tell if the cancer is a slow or aggressive form. There are many biopsy procedures that are done with the help of image guidance such as CT and ultrasound. There are many breast biopsies that have been done with the guidance of stereotactic mammography. CT is increasingly used to guide the biopsy of liver and lung lesions. Interventional CT now helps to allow real time CT imaging during biopsy increasing diagnostic accuracy and shortening procedure times. Ultrasound is also useful as it offers great flexibility to follow the path of the needle to the lesion, provide real time display, and allows professionals unlimited imaging. In stereotactic mammography, it helps to show images of two angled directions to guide the needle. MRI helps provide real time images that guides the trajectory of the needle approaching the lesion. It also provides a high contrast resolution helping radiologists to differentiate between abnormalities and organ structures. -	A possible infectious agent, changes to the cells caused by infection or disease. -	The presence of a benign growth or process. -	The presence of abnormal cells where cancer cells are seen. With these findings, the pathologist may be able to determine the origin of cancer cells to see if it is from a primary tumor or from metastasis. Biopsies can be performed as an outpatient or inpatient bases by medical doctors or doctors of osteopathy. Surgeons are individuals who perform excisional and open biopsy. More invasive percutaneous biopsy such as the liver or lungs will be performed under guidance of medical imaging usually by a radiologist .The biopsy specimen is then analyzed by a pathologist who then renders a medical diagnosis based on the tissue sample. Biospecimens help support present and future research studies and investigations. It is a place where various specimens from many living organisms such as, animals and humans are contained and managed. Many life forms such as arthropods, vertebrates and invertebrates can be analyzed and studied through the preservation and storage of their tissue samples. Besides maintaining the relevant biological specimens, biorepositories also have a role to collect the associated information from these specimens for future use in research. One of the most crucial roles the biorepository plays is to ensure the quality of the collected samples. They also have to manage the accessibility of biospecimens while handling the disposition and distribution of their collection. a) Collection – This is the first step where biospecimens are obtained and recorded in the records. This can be done by scanning the sample’s barcode where the information regarding the sample is then transferred into the biorepository’s laboratory information management system. Examples of the information recorded would include the origin of the sample and the time the sample arrived. b) Processing – This phase involves the testing of the biospecimens to minimize variation and preparing them for storage. One example is the processing of DNA samples into a salt buffer to stabilize the DNA for long-term storage. c) Storage – After the biospecimens are collected and processed, they are stored accordingly based on the required temperature and environment. Some samples are stored in freezers while some can be stored at room temperature. This is where all biospecimens are held before distribution. d) Distribution – This occurs when the biorepository fills an order or request from a research team from the biorepository’s inventory system. A biobank is a type of biorepository that stores biological samples that are usually human for research. Biobanks are an important resource for medical research as it helps support various types of contemporary research. It allows access to data for researchers that represent a large population. Samples and data available in biobanks can also be used by many different researchers for various studies. This is crucial as there are many researchers who have difficulty acquiring samples before biobanks existed. Although many issues such as privacy, medical ethics, and research ethics have been raised, a consensus has been reached that operating biobanks should consider the policies and governing principles that protect the communities that participate in their programs. The term “biobank” can be defined as “an organized collection of human biological material and associated information stored for one or more research purposes”. While biospecimen collections from other living organisms can also be called biobanks, many prefer to reserve the term only for human biospecimens. Clinical or control based biospecimens from non-diseased donors and donors with specific diseases. Biobanks that follow their participants over a long period of time, also known as longitudinal population-based biobanks. Biobanks with twin registries that obtain samples from both dizygotic and monozygotic twins. Population isolate biobanks that have a setup using homogenous genetic donors. Population-based biobanks where the focus is on the study and development of complex and common diseases. In conclusion, both the terms “biorepository” and “biobank” are often used interchangeably as the distinction is blurry. However, one of the most significant differences is that biobanks often refer to collections of human biological material while biorepositories can refer to collections of all living organisms. Biospecimens have been collected for various uses such as clinical trials, molecular epidemiology, and other research. It is important for specimen management to occur in a controlled environment. An environment where there are strict policies and guidelines in place that help ensure the quality and integrity of the specimen and data. With proper procedures, biorepositories are able to produce high quality biospecimens that are needed for research. Biospecimens are collected from donors for patient monitoring, care, and research studies. They have helped many medical advances such as those for cancer, heart disease, and AIDs. Due to the increased sensitivity and specificity of analytic techniques over the years, it is crucial that biospecimens are of the highest quality. Specimens should be collected, processed, and stored according to guidelines that take into account future analyses. The collection procedures will differ for different biospecimens and intended analyses. However, all procedures should be accurately documented. Blood sample collection should be performed by a trained phlebotomist to reduce donor discomfort and to avoid compromising the quality of the sample. These standard protocols should be followed. Blood should be drawn in an orderly manner to avoid cross-contamination of additives. Serum should be separated from other components as soon as possible to reduce contamination. This is important as serum can be used for the improved analyses of nutrients, lipids, antibodies, and lipoproteins. Follow guidelines and recommendations for time elapsed between blood collection or removal from the storage unit and temperature for processing of blood specimens depending on the intended analyses. Avoid thaw and refreeze cycles. Since RNA and proteins are vulnerable to enzymatic degradation, follow necessary protocols that help ensure their integrity during the collection and processing phase. Most tissues are obtained through surgery, biopsy, or autopsy. Generally, it would be best if the procurement of the specimen is performed by a trained pathologist. The time between the collection and stabilization process should be minimal. This means that the best approach is to collect, stabilize, and process the specimens rapidly. Detailed records regarding the timing for excision, fixation, or freezing should be kept. For autopsy specimens, it is vital to know the interval between death, collection, and processing of the specimen as tissues degrade rapidly after death. Tissues can be fixed using formalin, alcohol, and paraffin embedding as it has a relatively low cost when freezing or when storage facilities are unavailable. Urine specimens should be kept refrigerated or kept on ice with or without a preservative. Saliva along with buccal cells are a great source of DNA for genetic studies. Samples are easily collected by asking donors for self-collection. Methods include using cytobrushes, swabs, and a mouthwash protocol. As previously mentioned, it is important to minimize the interval between collection and stabilization. The temperature of biospecimens should be reduced when freezing is the endpoint. Control of processing time is necessary if fixation is the stabilization endpoint. Biobanks should utilize the method that preserves the highest number of analytes. Biospecimens should be processed using the methods that preserve the analytes of interest or following the study design. For blood specimens, the processing method used should be based on the laboratory analyses. Tissues can be processed in the pathology suite or operating room once the specimen is resected. Buccal cells can be processed via centrifugation. For DNA extraction, the gold standard method is phenol-chloroform extraction. However, other methods can be used. Based on the intended laboratory analyses and requirements, biospecimens can be stored in various conditions. Examples include mechanical freezers, liquid nitrogen tank, room temperature, among others. Backup and alarm systems are necessary in case of mechanical failure. Staff should be trained for maintenance and repair of equipment. The labels used for biospecimens should be capable of withstanding the storage conditions. Information management involves the collation and analysis of data associated with biospecimens as it helps support research. Since there are vast amounts of data, extensible and flexible informatics systems will be required. Biospecimens are documented and tracked using various forms of data management tools such as notebooks, multi-user software, and various automated information systems. Biobanks and biorepositories needs to develop and adopt standard operating procedures (SOPs) that describe the policies and processes of the biorepository in detail. SOPs should be detailed, well structured, and should undergo a strict approval process. SOP’s need to be reviewed periodically to assess the necessity of updates. Once implemented, SOPs should be routinely followed. Copies of SOPs should always also be stored in designated locations accessible to all personnel at any given time. Biorepository and biobank personnel should review SOPs prior to implementation. All biorepositories need to keep all records and related documents of the informed consent status for every biospecimen. Additionally, the procedures or protocols followed to obtain informed consent must be specified. Along with this the protection of privacy for all participants and data confidentiality should also be described. This section of the SOP should include the monitoring and calibration of all of the equipment. SOPs regarding the maintenance and repair of equipment is also crucial. All biorepositories should have their own procedures that routinely monitor all the equipment that is involved in the preparation and storage of biospecimens. The accurate calibration of equipment is vital to avoid affecting the quality of biospecimens and their data. The operational settings of the equipment should always be recorded along with all of the repairs that have been performed. All biorepositories should have high standards for their reagents and consumable supplies that are used in the collection, processing, and storage of biospecimens. This means that the supplies should be acquired from certified and approved vendors and should meet the material specifications. Personnel should ensure that these supplies are in good condition prior to their utilization. All biorepositories will need to have their own guidelines and protocols for the labeling and identification of biospecimens. This should be coupled with the linking of biospecimens to their records regarding donor information and informed consent, so that when required it will be readily available. In this section details are extremely important to allow for the accurate replication of collection and processing procedures. This means that detailed descriptions of the supplies and equipment used are necessary. Along with the methods and processes used in the division of biospecimens into respective aliquots. The collection and processing of biospecimens must include records of staff names, dates, and specific times so potential pre-analytical variables are all recorded. All procedures for the storage and retrieval of biospecimens from the biobank should be well described. This should include the guidelines for the addition and withdrawal of biospecimens, response to requests, fulfilling requests, and the disposition of biospecimens. All biorepositories should have designated policies and protocols for the transport and distribution of biospecimens that ensures their integrity, quality, and safety. This means guidelines should include packaging specifications addressing temperature conditions, temperature monitoring, regulations for the transport of hazardous materials, shipment logs, notifications for delivery, delivery confirmation, and agreements that cover transfers. All biobanks should have their own testing procedures that document the results which are then kept in the records. This should comprise of tests that assess and control the quality of biospecimens, confirmation of histopathology diagnosis, assessment of nucleic acid integrity, biomarker expression, and more. Policies and guidelines for the management of records and procedures that define data collection methods, access to data, reporting, and quality control of data should be available for all biobanks. It would be best for all biorepositories to have policies and procedures that address biosafety issues such as the reporting of staff injuries, precautions that the staff should have for bloodborne pathogens, the use of personal protective equipment, handling of hazardous material, and the disposal of biohazardous material and medical waste. All centers should have their own policies and procedures when it comes to the training of their personnel. These training should be documented, corrective actions that are taken, steps taken to resolve discrepancies for inventory or shipment, manage power outages, monitor samples, and the handling of emergencies and natural disasters. Procedures for security concerning administration and information systems should be available for all biobanks and biorepositories. These SOPs should address the different points of contact and personnel that are involved in backup. Names and contact numbers for the designated personnel should also be available. It is important for all biorepositories and/or biobanks to have detail-rich standard operating procedures as it helps personnel get organized and offers guidelines in times of emergency. SOPs can also help to provide detailed information about the processes and preservation methods that ensure biospecimens retain their integrity and are of the highest quality. Blood samples are most commonly obtained from the antecubital fossa where the veins are closest to the surface. The blood sample can be taken by anyone from a doctor to a phlebotomist or a nurse. Most blood sample collections will occur at a clinic, hospital, or at a pathology collection center. A tourniquet is first wrapped around the upper arm to slow down the blood flow while the area where the insertion area for the needle is cleaned with an antiseptic cloth. The needle is inserted, and the blood sample is transferred into containers or tubes. Proper dressing of the wound is then administered to prevent infection and to keep it clean. These tubes are then labeled with a unique identification number along with other important information. These samples are then transported to their respective destinations, such as laboratories or biorepositories. Biobanks and biorepositories assist in providing the materials required in clinical trials and research. There is a growing number of biobanks that help to collect data and samples from the population as a response to the increased demand of these services. The services provided by various biobanks also mean that acquiring biological materials can be guaranteed. The existence of biobanks has allowed the accumulation of biological samples from various resources. All specimens should be collected and processed according to the proper guidelines and procedures. While collecting biospecimens, biorepositories also collect demographic data such as medical history, lifestyle habits, medications, and family history to create an accurate scientific database. These samples are only labeled with a unique code for identification purposes. These specimens are then maintained in the proper environment and equipment to ensure the highest quality. Another crucial point in the management of any biobank is the privacy and rights of the donors. This means biobank managers need to train their staff regarding the policies and standard operating procedures (SOPs) of the biobank. In human biospecimens, the buffy coat and whole blood are essential for biorepositories. Whole blood refers to a sample that consists of red blood cells, white blood cells, platelets, and plasma. The buffy coat describes the white blood cells and platelets that form the anti-coagulated blood sample. Both these samples are essential as they are the main source for cellular nucleic acids, construction of a DNA biobank, and achieving the maximum quality and quantity of germline DNA. Blood is one of the most common biospecimens collected in human biobanks as it is a source for DNA and RNA. This is why anti-coagulated blood is a prerequisite for plasma-derived cell-free circulating nucleic acid molecules and genomic or mitochondrial DNA and RNA. One of the most commonly used anticoagulants is ethylenediaminetetraacetic acid (EDTA) for various protein assays and DNA based studies. However, citrate is more appropriate for white blood cell cultures. Storage conditions and quality of biospecimens are of vital importance as it determines the yield of extracted DNA and RNA from buffy coat or whole blood samples. Since RNA is easily degradable, the World Health Organization – International Agency for Research on Cancer (WHO-IARC) has suggested that it be stored in nitrogen storage below -130⁰C. Samples stored at -140⁰C by liquid nitrogen have been observed to keep the RNA in a functional state and intact for more than 50 months. To maintain the biospecimen’s reliability and preventing the possibility of multiple freeze-thaw cycles, DNA protection and stabilization can be done at room temperature which eliminates the costs for freezer storage and lowering maintenance costs for biobanks. While purified DNA can be stored at -20⁰C for months, both purified DNA and RNA are much more stable at -80⁰C in nuclease-free water or aqueous buffers for long-term storage. For plasma, anticoagulants such as lithium-heparin and EDTA can be used. Storage of both serum and plasma at -80⁰C have shown that there is adequate stability in the different biomolecules. The cycle of freezing and thawing should be avoided as it leads to the degradation of nucleic acids and proteins. Due to the increasing scientific developments in the past few years, it has increased the need for biological material in clinical trials and research. Biorepositories play a crucial role in supporting the researcher’s access to samples that meet their scientific criteria. It is important for biobanks to play their role in the management of data, collection, processing, and storage of biospecimens. Mohamadkhani A, Poustchi H. Repository of Human Blood Derivative Biospecimens in Biobank: Technical Implications. Middle East J Dig Dis 2015;7:61-8. The number of research and clinical studies being conducted to help improve screening procedures, diagnostic tests, therapies, and prognosis is rapidly increasing. This means tissue samples or biospecimens such as fresh frozen tissue and formalin-fixed paraffin-embedded (FFPE) blocks are of great value researchers. Obtaining high-quality samples is the first step towards credible data and testbale results. This is why suppliers of biospecimens should aim to collect, maintain, and disseminate the best biospecimens possible. High-quality samples are those that resemble the biology of the donor before its removal from the host. Once removed, the specimen may change based on the environment. Such things as exposure to different chemicals or environmental factors during the collection or storage procedure are all things that can negatively affect the sample. This includes things such as the health of the donor, consumption of food, beverages or medications before the collection of the specimen, time of day the specimen was collected, and the type of anesthesia used. In female donors, even the time of their menstrual cycle can affect the downstream analysis. This stresses the importance of collecting this information from donors to decrease variability between samples. The temperature for maintaining biospecimens. All the above factors can affect the stability and degradation of molecules in the samples. Annotation of the biospecimens should include the donor’s information. This data should be recorded and maintained in a database. Handling of biospecimens should also be optimized to reduce molecular changes that may occur due to processing activities. Always use validated assays whenever possible. Train technical staff regarding the standard operating procedure. Use the proper type and number of control samples. If possible, randomization should be applied. Use standardized methods during the documentation and interpretation of results. The specimens collected has to be appropriate for the clinical study and downstream applications that will be used in the research. Biospecimens should be examined by a qualified histopathologist to ensure quality and accuracy. Reference ranges should be used to ensure that any deviation from the reference range can be accurately detected. This is due to the reason where disease can be defined as a deviation from normal variation. This means the diagnosis of the disease depends on the scope of normal variation. All reagents should be quality controlled, so it is fit to be used in the assay. The standard operating procedures (SOPs) should be reproducible with control biospecimens that have a range of anticipated assay values. Poorly handled biospecimens tend to produce erroneous test results due to molecular changes. Follow standard protocols when storing biospecimens to maintain quality. Personnel should record the conditions for storage, deviations from SOPs, temperature, equipment failures, and thaw / refreeze episodes. It is essential to validate storage equipment, maintain back up equipment, and identify “hot spots” in the freezer. Store specimens in a stabilized state. Avoid unnecessary thawing and refreezing. Follow protocols if thawing and refreezing are necessary. Inventory tracking is desirable as it helps reduce the disruption of the environment during retrieval of samples. Consider the length of storage, type of biospecimen, biomolecules of interest, and study goals when selecting storage temperature for samples. Use appropriate storage vessels and ensure stability under storage conditions. The proper storage vessel can prevent sample loss and reduce costs of storage and retrieval of biospecimens. Choice of labels and printing should include the consideration of long-term storage conditions. Protection for personnel such as face shields and gloves should be worn. Each specimen should have a unique identifier that is clear, affixed, and able to endure the storage conditions. Automated alarms that monitors the storage equipment with the capability to warn personnel when equipment failure occurs should be in place. An alternative power source and other backup equipment should activate automatically if there is equipment failure. SOPs to routinely test equipment failure, backup equipment, and other emergency situations should be available. Specimens should only be available to authorized personnel. Ensure appropriate shipping conditions and documentation. A biorepository is a center that functions to collect, process, store, and distribute tissue samples or specimens to support future research. These tissue samples can be sourced from humans or animals. The biorepository is responsible for maintaining the quality, accessibility, and distribution of these tissue samples. Upon delivery the tissue samples are recorded all information regarding the sample details are keyed into the laboratory information management system. Biospecimens are then processed to ensure consistency of the samples. Proper tissue preservation methodology is absolutely crucial to a biorepository. These specimens are then stored and held in their appropriate conditions. Sample holding boxes and freezers are sometimes used, however it depends on the storage requirements. For example Formalin-fixed paraffin-embedded tissue blocks can be stored at room temperature. Distribution involves retrieving the required samples from the inventory. Provide standards on how operations should be conducted. There are many different types of biorepositories that exist. Some help with biomarker validation, and others are integrated with registries. Most biorepositories are focused on collecting biospecimens for specific diseases. Others function to identify genetic clues that can aid in the guidance of therapeutic development. Similair to disease-focused biorepositories there are those focused on the understanding of practices and habits. Biorepository sponsors can also vary. While some are funded as part of research to aid in the collection of specimens from participants, some are sponsored by organizations or medical centers to collect, process, and store samples from a wide variety of patients. Some biorepositories are organized by patient advocacy organizations to help kick-start research of specific diseases. The Alzheimer’s Disease Neuroimaging Initiative – is a disease-focused biorepository and biomarker validation program that uses the samples and data collected from Alzheimer’s disease patients and patients with other forms of memory impairment. The Health Outreach Program for the Elderly (HOPE) is a biorepository at Boston University that supports multiple studies. The HOPE registry follows up with their Alzheimer’s patients annually. The United Kingdom Biobank is a biorepository with a broad focus. They aim to improve the diagnosis, treatment, and prevention of various diseases such as cancer, stroke, diabetes, heart disease, eye disorders, depression, dementia, and arthritis. In between 2006 to 2010, they managed to recruit half a million individuals between the ages of 40 to 69. Samples such as blood, saliva, and urine have been donated for analysis. These participants have also provided detailed personal information and consented to future follow up for many years to help researchers discover how various diseases develop. The Autism Research Resource is sponsored by the state of New Jersey to research autism in families where more than one child is affected. The Centers for Disease Control (CDC) Cell and DNA Repository use samples from transformed cell lines available through the Genetic Testing Reference Material Coordination Program. Some of the samples obtained are from diseases such as Cystic Fibrosis, Huntington Disease, Alpha Thalassemia, Fragile X syndrome, and Muenke syndrome. The National Institute of Neurological Disorders and Stroke (NINDS) Human Genetics DNA and Cell Line Repository focuses on the identification of new genes that causes or contributes to conditions such as Parkinson’s disease, Tourettes syndrome, epilepsy, motor neuron disease, and cerebrovascular disease. The National Institute of Aging (NIA) Aging Cell Repository utilizes cellular and molecular research to determine the degenerative mechanisms and causes of aging. They have strict diagnostic criteria with cells collected over a span of thirty years. Scientists are using these cultures to study diseases such as Alzheimer’s disease, Parkinson’s disease, Progeria, and Werner Syndrome. The National Human Genome Research Institute (NHGRI) Sample Repository for Human Genetic Research successfully completed the sequencing of the human genome. They now aim to participate in a variety of studies that focuses on the understanding of the structure and function of the genome and the role it plays in disease and health. The National Eye Institute Age-Related Eye Disease Study (NEI-AREDS) Genetic Repository was founded to identify how macular degeneration and cataracts develop and progress. This is important as these two conditions are two main causes of vision loss among older patients. Biorepositories are crucial in supporting different areas of research such as those focused on a specific diseases, broadly focused population studies, identification of genetic mutations, and many more. These studies may have a specific length and purpose and are ongoing studies that follow up with their participants for many years. 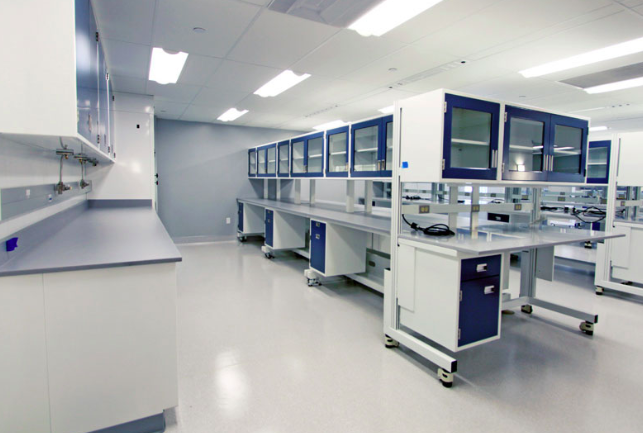 A biorepository is a storage facility for biological materials that includes animal and human tissue samples. A biobank is similar but it is not the same thing as a biorepository. A biobank is a collection of similar types of samples, that are grouped together for future reference and research. The lack of a universal method for preparing FFPE tissue samples makes choosing the right supplier a critical component of tissue research. Following a few guidelines will help ensure your tissue research leads to clinically useful results. The decision to participate in the donation of tissue for procurement and storage in biorepositories opens up a host of ethical and legal issues. Researchers in biomedical fields require biorepositories of high quality annotated specimens in order to carry out their work. Quantification and quality of DNA was determined by spectrophotometry, integrity analysis by electrophoresis, and quantification and integrity estimation by PicoGreen. In order to preserve tissues and cells collected for scientific purposes, a number of important techniques and protocols must be utilized - this is called the tissue preservation method. The tissue preservation process is crucial to samples of human and animal tissue. Blood and serum samples are the basic materials used to advance clinical and basic research into a host of significant human diseases.